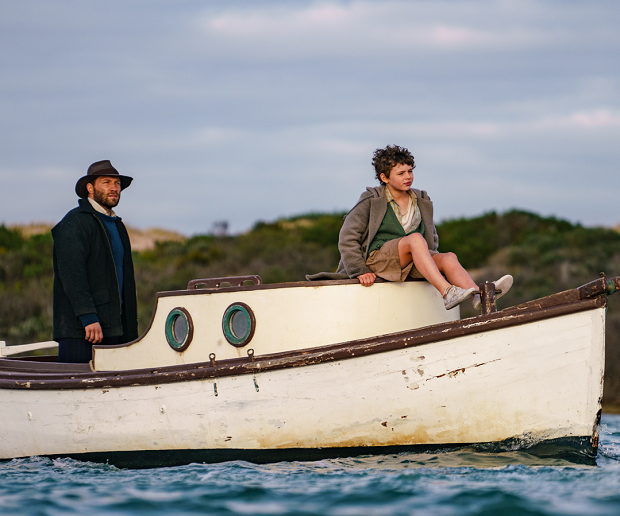 Storm Boy is a heartwarming movie that centers around an Australian boy and his father. 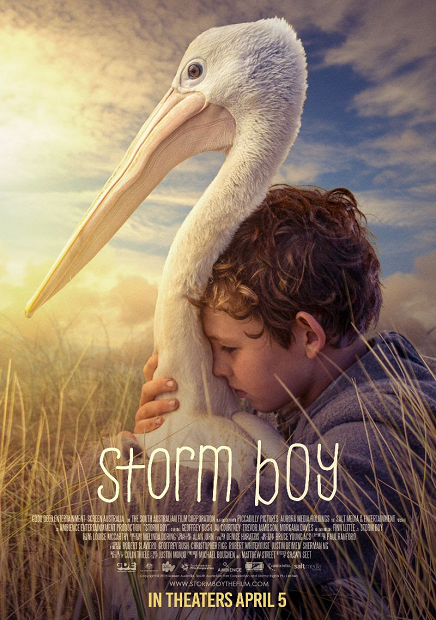 Based on the beloved book by Australian author Colin Thiele, “Storm Boy” tells the story of Michael ‘Storm Boy’ Kingley. 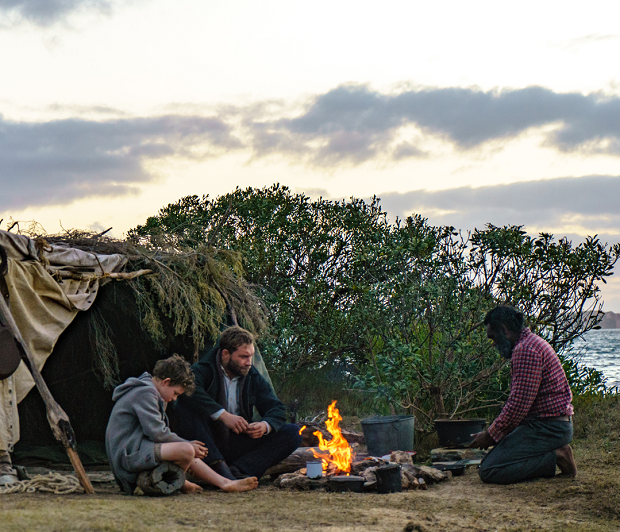 The film is an emotional tale of a young boy growing up on the beautiful but uninhabited coastline of Southern Australia who unexpectedly rescues and then raises three orphaned pelicans. When he forms a close bond with them, he finds himself at odds with his fisherman father and his life takes a new and unexpected turn. At the beginning of the movie we are introduced to the present-day Michael Kingley, a successful businessman and grandfather, played by Geoffrey Rush. 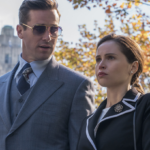 After traveling abroad, Michael returns to Australia to visit his granddaughter, as well as to attend a board meeting at the company that he used to head. As a retired businessman, Michael has passed the reins on to his son-in-law; however, his position on the board is crucial, as there is an important vote coming up. 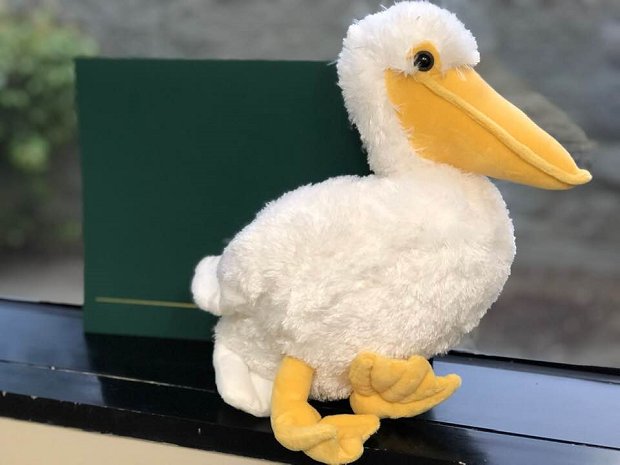 In an attempt to bond with his granddaughter, Michael shares the story of how, as a boy, he rescued and raised an extraordinary orphaned pelican, Mr. Percival. As a young boy, Michael befriended an Indigenous Australian named Fingerbone Bill, who taught him how to care for the pelicans. The daily chores of caring and feeding the pelicans has a profound effect on young Michael. 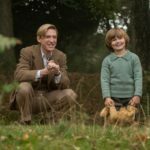 The unconditional love that the young boy has for the local wildlife causes Michael and his father to come to a crossroads with the townspeople and local hunters. Back in the present day, Michael’s long forgotten memory plays a valuable part, helping inform his business decision about Australian real estate. 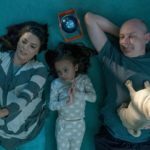 The film’s message is about family, friendship, love, and loss. I think it is wonderful that the movie also touches on the themes of animal wildlife protection and preservation. 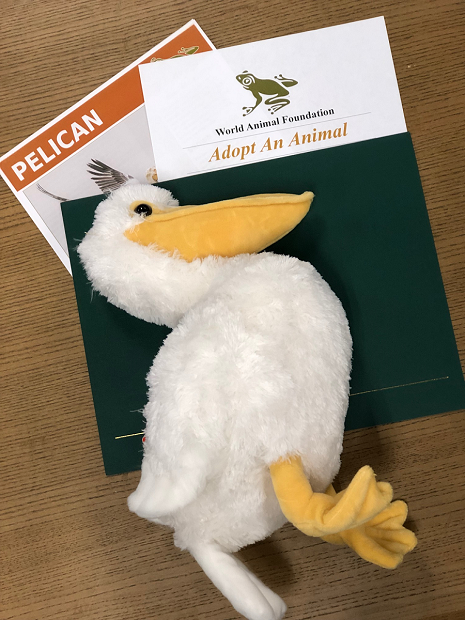 Speaking of protecting the wildlife, I got to partner with World Animal Foundation and adopt a pelican. When you adopt an animal from this organization, your money and efforts will aid in ensuring that the animal lives in a safe and healthy natural habitat. Overall this is a sweet story that highlights an important message. I recommend watching this with your family and maybe afterwards you can adopt your own pelican! Thanks Good Deed Entertainment and World Animal Foundation for partnering with me and my family! Check out the World Animal Foundation website to learn more about helping animals and the planet. To celebrate the movie’s release, I’ve got a FREE printable Activity Packet for kids of all ages to enjoy! Click here to download the Activity Packet. 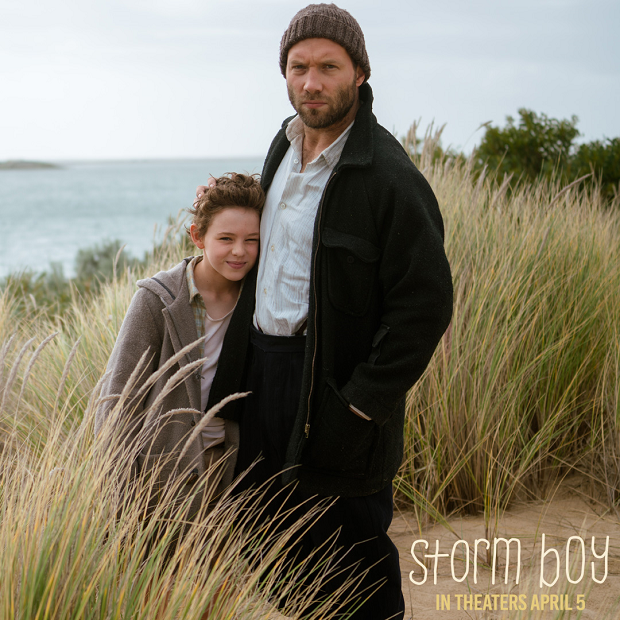 “Storm Boy” opens in theaters on Friday, April 5th. Visit the official “Storm Boy” website here for more information. Check out “Storm Boy” on Facebook to get the latest updates. Disclosure: No monetary compensation was received for this post. 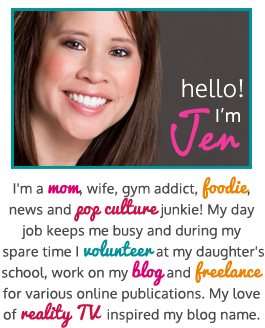 This post is in partnership with Good Deed Entertainment. All images are used with permission. As always, my opinions are 100% my own.